A decisive victory for the Continental Army, Trenton boosted morale and spurred enlistment throughout the colonies. George Washington's famous crossing of the Delaware River was the first of a series of surprise attacks which brought the Continental Army to victory at Trenton. Among the most key battles of the American Revolutionary War was the Battle of Trenton, which occurred on December 26th, 1776. After suffering morale-crushing losses in the battles for control of New York City earlier in the year, the Continental Army, fighting on behalf of American independence, was dwindling in numbers, and it was feared that the rebellion would collapse. Their Commander-In-Chief, General George Washington, believed that a bold move was necessary to restore faith in the cause among the American public. His strategy to turn it around involved engaging the enemy in a surprise attack on the British-held garrison at Trenton, New Jersey. The Trenton, New Jersey garrison was under the control of the British, and was being occupied at the time by 1,500 contracted Hessian soldiers under the command of Colonel Johann Rall, as the British had retired to overwinter positions in Pennsylvania. On the opposing side, George Washington and Major General Nathanael Greene were at the helm of the 2,400 Continental soldiers involved in the battle. Colonel Rall had caught wind of planned Continental attacks upon the garrison, but declined to fortify the base. His feeling was that there were enough troops on hand to turn back any opposition that might arise. In addition, the Hessians had strategic control of the Delaware River. General Washington initially planned on coordinating the deployment of three units: his own, plus two additional divisions of troops led by General John Cadwalader and General James Ewing, respectively. 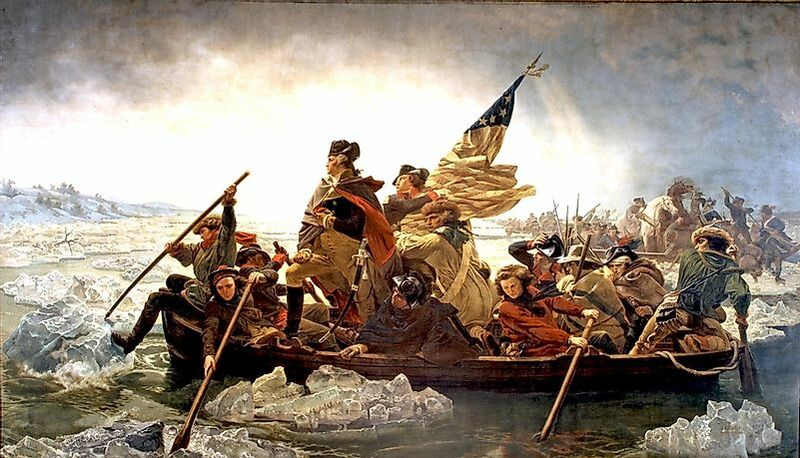 However, due to weather conditions, Ewing’s troops were stymied, and unable to cross the Delaware River to participate. Nonetheless, Washington made do, coordinating a simultaneous two-sided attack from the north and south, and quickly established American control around the city of Trenton. General Washington’s forces saw eight wounded and four fatalities in the struggle. For the Hessians, they suffered 22 deaths, including their leader, Rall, and 83 wounded. 918 were captured, and it is estimated that 500 more escaped during the fighting. The outcome is largely acknowledged to have been a result of Rall’s failure to heed the advice of his troops and engineers to fortify their position. In addition, the general disdain held by British General James Grant for the American forces led to the feeling that the Continentals were not a worthy adversary. Thusly, Grant had refused requested reinforcements at Trenton to support Rall. The Battle of Trenton is observed as one of the most influential battles during the American Revolutionary War. When word reached the public about the American victory, and also the number of fatalities suffered by each side, the news served to boost morale and spur a wave of enlistment in the Continental Army. Prior to the battle, it was feared that the series of crushing defeats by the British threatened to stifle the rebellion. The outcome at Trenton and the victory at Princeton to follow by Washington just a week later turned the tide of the war on the personal relations front. The famous 1851 painting of Washington Crossing the Delaware and the Trenton Battle Monument constructed at the end of the 19th Century serve as visual embodiments of this pivotal moment in the annals of the Revolutionary War.